In the last Mental Muscle post we learned about the importance of improving our self-awareness. Remember that self-awareness is your ability to be mindful of your thoughts, actions, and feelings in practices and in competitions. You had the chance to examine your best, mediocre, and worst performances with the self-awareness exercise. I asked you to reflect on these performances by reflecting on your thoughts, your feelings, and your actions. During this exercise you might have picked up on some striking differences between your Green, Yellow, and Red Zone performances. This week’s post will focus in on your feelings and, more importantly, how you can learn to manage your emotions to better your performance. 1. Emotions are reactions to our environment. These reactions happen to both actual events or fictional events. 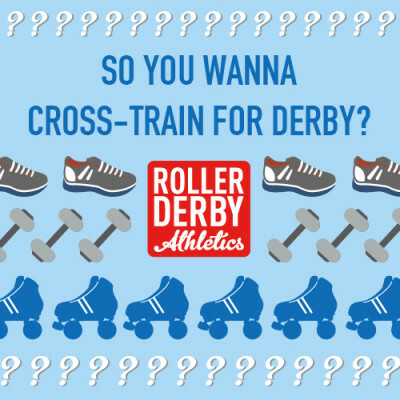 Actual event: Getting your fingers rolled over by a roller skate or getting winded from a blocker. 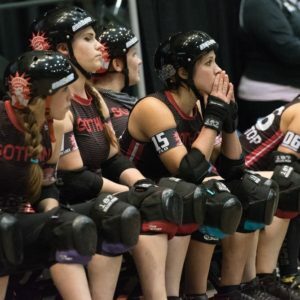 Fictional event: When you are standing at the jammer line and imagine that everyone is staring only at you, or if you imagine the crowd judging your failed attempt of slowing down the opposing jammer. Whether these events actually happen or are created in our minds, the emotional reaction attached to these events are real. If the event makes you angry, you will express emotions of anger. 2. Emotions are subjective. This means you can be standing next to your closest teammate and be affected by the same event, but both of you might have two different emotional reactions. Your coach pulls you and another teammate aside at practice. Your coach informs both of you that neither of you will be on the roster for the upcoming game this weekend. You begin to cry because you are saddened by the news. When you look up, you notice that your teammate is yelling at your coach and questioning her roster decision. Both of you just experienced the same event; it’s how you reacted to the event that triggers your emotional response. You were sad and slightly disappointed that you will not be playing in the upcoming game. Therefore your actions (crying) were tied with your emotions. Your teammate, on the other hand, became angry. Anger then led to certain actions such as yelling at the coach. Same situation — two completely different emotional reactions. 3. Emotions impact our body, mind, and actions. Think back to a moment when you were really nervous (night before a game, during a presentation, or prepping for a job interview). Can you recall any physical changes? Maybe your heart rate increased, you perspired more than usual, you felt the muscles in your shoulders tense up. These are some examples of how being nervous impacted your body. You would be able to find cognitive and behavioural changes as well, because emotions affect us more than we think. 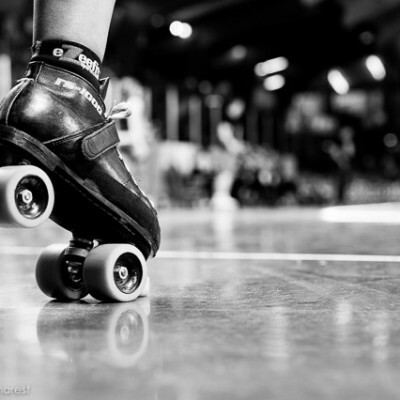 Which Emotions work best for Roller Derby? This is were it gets tricky, because it depends on the individual athlete. In order to gain a better understanding of performance and emotions, we need to break down emotions into different categories. First off, emotions can be divided into pleasant and unpleasant emotions. Pleasant emotions are those that we enjoy feeling and/or expressing. Unpleasant emotions are obviously the complete opposite. These emotions are not enjoyable and may be draining at times. Most people do not like feeling or expressing these types of emotions. When it comes to performance however, there is more to it than pleasant and unpleasant emotions. It’s important to look at how these emotions can affect your overall performance. So we must look at whether these emotions are helpful or harmful to your performance. *To understand what emotions help or hinder your performance, take a glance at the Traffic Light exercise where you reflected on your Green, Yellow, and Red zones. Take a closer look at “My Feelings” and check out the differences from your Green zone to your Red Zone. REMEMBER that Everyone is different! Anger is labeled as a helpful emotion but some athletes do not find anger to be a constructive emotion during a practice or game. When I look back at my Red, Yellow, and Green zones, there were some obvious differences in My Feelings. Every time I became angry in a game or practice, I performed at my worst. Through self-awareness and reflection, I realized that anger was a hindrance to my performance. When I was angry, I was not able to stay focussed on the game. Instead my focus would shift to external factors that were out of my control. 1.We are humans, it’s normal for us to have emotions! You are not at fault for having unpleasant or harmful emotions. Life will throw us curve balls. It’s important not to be hard on yourself for having these emotions. Whether you’re happy, angry, excited, or nervous, be aware of the emotions you are feeling and understand how that specific emotion impacts your body, mind, and actions. Emotions are a subjective response to a situation. After you acknowledge your emotion, try to re-frame it to improve your performance. Check out the post on Positive Self-Talk to help you engage in positive re-framing when speaking to yourself. The best emotions to have in a performance are the ones that you can CONTROL. If being angry is a sign that you are in your red zone (like me), have a plan in place to help change your emotion to one that can be found in your green zone. Plans can involve engaging in positive self-talk, breathing techniques, doing push ups on the bench, listening to music…..basically anything that will help you change your emotional state. Don’t worry – we will dive deeper on creating plans in the next Mental Muscle post! Try out these tips on managing your emotions. Realize the emotion that you are expressing has an impact on your frame of mind and actions during a game. Stay in control and stay in that Green zone!